We are also seeking volunteers to assist with this year's VBS. Please consider helping. 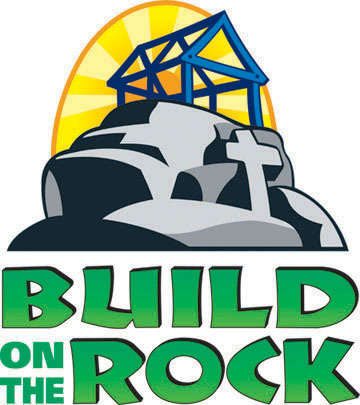 Join our Vacation Bible School on June 2nd – 6th (Sunday through Thursday) from 6:00 to 8:00 pm at Zion Lutheran Church. We need teens (completed 7th Grade or higher) and adults to help with games, snacks, crafts, Bible stories and lead groups of students from station to station. Even if you can only help a few evenings, we can use everyone. Sign up in the Narthex or say YES if someone asks you to use your talents to serve the Lord and others at VBS. Volunteer training will take place on Sunday, May 19 after the late service (should be about 11:30am) and another training session will be Tuesday, May 28th from 6:00-7:30pm. Both will have the same content and will be held in the Lakeview Room. Attending one of these training meetings is mandatory for all volunteers. Dinner and drinks will be provided. There will also be a Volunteer Commissioning at the beginning of the 10:30 am service on Sunday, June 2nd. Come join us as we dive into God’s Word. At Build on the Rock! VBS, your children will learn that Jesus is our Savior! They’ll look into the Bible, God’s Holy Word, and explore five Bible accounts throughout the week. Join us June 2nd-6rd (Sunday through Thursday) from 6:00 to 8:00 pm. Register online using the register button on this page or call the church at (402) 493-1744. A free family dinner will be served each night from 5-6 pm. Come along with us as we sing, do crafts, eat snacks, play games, learn God's Word, and more. It will be a great time to meet new friends and hear God's good news of Jesus.